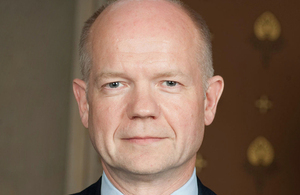 Below is the text of the speech made by William Hague, the then Foreign Secretary, in Rio de Janeiro on 19 January 2012. It is a great personal pleasure for me to be here in Brazil. I have wanted to make this visit for a long time, I attach great importance to it and I am pleased to say that it has gone extremely well. I have come with a message of warm friendship: our relations with Brazil are important to me, and important to my country. We wish to invest in our ties with you, and to look for new ways of working together as equal partners. This is part of our effort to transform our relations with Latin America and with other emerging powers. Today, when nations such as yours have a growing voice in world affairs and three quarters of global growth in 2012 is expected to come from non-OECD countries, there can be no doubt that this is the right direction for Britain to take. The history of our involvement with your region began with an auspicious start but was followed by many missed opportunities. We were among the very first countries to recognise the potential of Latin America in the 1800s, when Foreign Secretary George Canning helped negotiate Brazil’s independence. We enjoyed close trading links in the 19th century and played a big part in your early economic development – not to mention the fact that the first game of football in Brazil was arranged by a British man named Charles Miller in 1894. But in the late twentieth century Britain looked away: four of our Latin American Embassies were shut, diplomats were withdrawn and our links faltered just as your continent began its extraordinary rise. We have now opened a new chapter in this history. The days of our diplomatic retreat from your region are over. We have begun Britain’s most ambitious effort to strengthen ties with Latin America in 200 years, since the days of Canning. We are cementing this commitment in bricks and mortar, re-opening our Embassy in El Salvador, a new consulate here in Brazil in Recife, and expanding our diplomatic staff across Latin America. British Ministers have made 37 visits to the continent in the first 18 months – nearly half of them to Brazil, and we have set targets to double our trade with Brazil, Mexico and Colombia by 2015. We have moved our diplomatic engagement with Brazil to a wholly different level within British government, because we recognise your country’s growing impact on the economic and political landscape of the world. We have just signed a ‘Science without borders’ agreement which will bring 10,000 Brazilian students to British universities over the next four years. And the British Council has trebled its budget for your country, investing in cultural exchanges, English language training and education. In every way, Britain is back in Brazil and we are proud to be here. Today, no one can make the mistake of underestimating Brazil. – and for your commitment to environmental conservation, to clean and renewable energy, to development and to the fight against climate change, hunger and poverty. I was there in New York for the historic moment when your President became the first female leader to open the UN General Assembly. Your staging of the World Cup in 2014 and the Olympics in 2016 will put Brazil in the spotlight of a huge amount of world attention in the coming decade. All these things convince your friends around the world that the very best days for Brazil are still to come. We share your confidence in Brazil’s future, and are excited about the opportunities for stronger ties between our people and our economies. We are already the 4th largest investor here. Our exports to Brazil were up 23% in 2010 and a further 9% in 2011. UK companies such as British Gas, British Petroleum, Rolls Royce and Shell are investing heavily, including here in Rio. As you continue to develop your knowledge and skills base and invest in science, innovation, education, health and infrastructure, our strengths in all these areas make Britain a natural partner for you. Our back-to-back hosting of the Olympics provides huge opportunities for our companies to collaborate. Our membership of the European Union, combined with our competitive tax system and openness to inward investment make us an ideal springboard into European markets. And we are the leading voice in the European Union against protectionism and in favour of Free Trade Agreements, including the vitally important Free Trade Agreement between the EU and Mercosur which we attach great importance to, and the completion of the Doha Trade Round. For all these reasons I am optimistic that the best days in our relationship are ahead of us too. I am delighted to announce that Prince Harry will visit Rio in March to attend an event on Sugarloaf mountain that will celebrate all that is great about the relationship between Britain and Brazil. We also want to develop a better understanding between us in foreign policy. Your country’s role in international affairs is set to grow significantly this century. This flows naturally from your growing economic weight and the shifting international landscape. The world has changed profoundly since the end of the Cold War. International relations are no longer dominated by a handful of powerful states that can dictate terms for the rest, and never will be again. That era is over. We are in a new phase in the concert of nations, in which states that have not traditionally dominated or sought dominance have an equal role to play in world affairs. Ours is a networked world, in which economic and political power and influence are much more widely dispersed and tilting in the direction of the countries of the South and East. 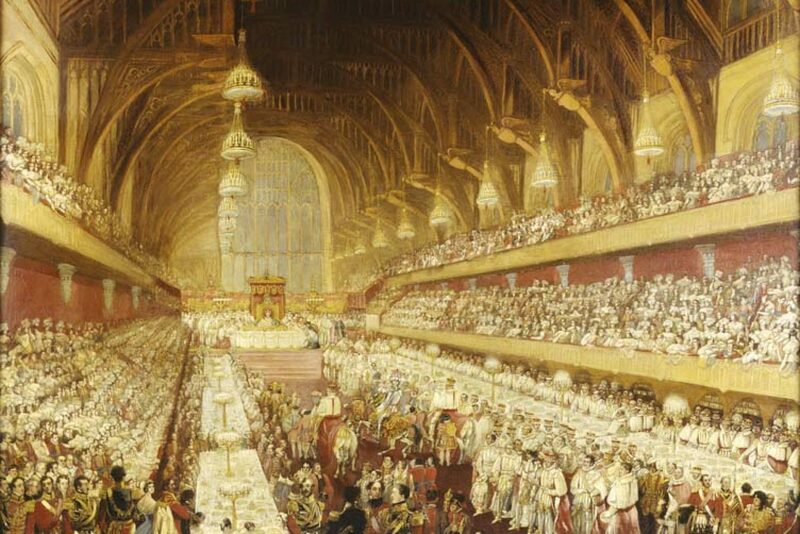 It is not a world that is settling into blocs or a north-south divide – but which has opened up the possibility of far more flexible groupings built on a latticework of connections between nations, societies, businesses and individuals. This is change that Britain does not fear, but that we welcome and embrace. It has transformed the lives of millions who have been lifted out of poverty and into the middle class by growth and development, and it supports a more stable and equitable world. And it is quite properly widening the circle of international decision-making. The problems of our time require collaborative responses. No single country holds the answer to how we create a sustainable global economy, address conflict or husband our planet’s resources for all. Today many of the innovative answers to these challenges are being developed in the emerging economies, just as many nations to look at Brazil as a model for successful political and economic development. In this new global environment our British government is looking further afield for opportunities for our citizens and new ways of working in foreign policy – not replacing our role in Europe and indispensable alliance with the United States, but running alongside them and indeed reinforcing them. Our aim is that the United Kingdom should be at the centre of the networks of the 21st century, including here in Latin America. We also strongly believe that the institutions of global governance must become more representative, which is why we support reform of the United Nations Security Council including a permanent seat for Brazil. We know that Brazil has long played a distinguished role in this region; that you prize your long history of peaceful relations with your neighbours and take your international responsibilities very seriously. In my country, we remember that just as we came to your aid during your wars of independence, so you came to our aid during the first and second World Wars, the only South American country to do so. As a founding member of the United Nations, your country is older as an entity than the majority of its members, including a significant number in Europe. You have played a leading role at the UN since its inception, as well as in other bodies such as the Organisation of American States. We warmly welcomed the decisive steps Brazil took in the 1990s to support the nuclear non-proliferation regime, and your participation in the Latin American nuclear weapon free zone. We support and admire your leadership in building peace in Haiti; and your skills and knowledge in eradicating poverty, addressing food security and protecting the environment, all of which have global application. We welcome the fact that you are expanding your diplomatic network around the world – including the opening of your newest European Embassy in Sarajevo. We therefore see it as very much in both our countries’ interests that we develop a strong and equal working relationship in foreign policy; one that reflects today’s world and our many shared values as fellow democracies. For the changes I have described also mean that maintaining international peace and security is becoming a broader responsibility. It rests on the shoulders of more nations than it has in the past. This means that we need to develop a better understanding of how to act together when that stable environment is threatened, and how we translate our democratic values into action. Brazil believes strongly in human rights. So do we. We both play a prominent role in the UN Human Rights Council, and recently worked together to help establish a UN Special Rapporteur on Human Rights in Iran. But of course no two countries think exactly the same way, and we respect your right to take a different view as you did over aspects of the international action in Libya. As we see it, in Libya limited military force was used to protect civilians and civilian-populated areas under threat of attack and to implement a no-fly zone, only after Colonel Qadhafi had refused to end the violence and when called for by all the countries of the region through the Arab League. It was action that was necessary, legal and right. It was carried on the legal basis of a UN Security Council mandate; it involved working directly with Libya’s neighbours, and it was done without NATO forces on the ground. These conditions – a legal mandate, regional participation and limited objectives – enabled us to be successful. They were consciously based on the lessons learnt not only from Iraq but also from Bosnia, where inaction led to the worst violence in Europe since the Second World War. Military action is always a last resort and can never be without risk. Each country is different and each case must be judged on its merits. But when human life is threatened and peaceful avenues fail, we argue that we must be prepared to intervene in the way best suited to the circumstances and to be able to do so quickly and decisively. So while we do not always draw the same conclusions about the best way to act when human rights at threatened at decisive moments, we have a strong common interest in building a better understanding for the future. Your President recently put forward the concept of ‘responsibility while protecting’ alongside the UN concept of the Responsibility to Protect. We welcome this contributing to the international debate and as I said to Foreign Minister Patriota yesterday, we look forward to discussing it and to finding common ground between our different perspectives. We may well face many more difficult and complex situations in the coming years. So we should try to build a stronger consensus about how we uphold our human rights responsibilities and maintain international security, especially as fellow democracies. 2012 will be a critical year for the Arab Spring. We have a strong common interest in using every diplomatic means at our disposal to encourage positive change in the region while respecting the wishes and choices of its citizens. In Syria, we are confronted with an appalling threat to human life and regional stability. Protests by people seeking to claim their human rights and choose democracy and freedom have been met with tanks, snipers, torture and over 5,000 deaths. The deterioration of the system risks not only further casualties but a civil war in the most combustible conflict zone in the world. It is regrettable that the UN Security Council has been unable to speak out and we urge it to do so now. We welcome the leadership shown by the Arab League and it is vital that efforts are redoubled to support their mission and to achieve a political transition in Syria. 2012 could also be a year of crisis over Iran’s nuclear programme. Like Brazil, our objective is to prevent nuclear proliferation in the Middle East, which could start an arms race in the region and call into question the very survival of the Nuclear Non Proliferation Treaty. Britain is seeking a negotiated solution with Iran and is not advocating confrontation. The best chance of averting either a nuclear armed Iran or the potentially devastating consequences of military action is to intensify the legitimate, peaceful pressure on Iran to return to negotiations. The main purpose of my visit was to open more intensive discussions about how we address these and other global problems. I am optimistic about this, particularly after my discussions in Brasilia yesterday, although such cooperation must be built on trust and shared experiences and will not come into existence overnight. But we share common values and interests that provide a strong foundation for us to build on over time. Like you we believe in a rules-based international system and more representative international organisations that strengthen multilateralism in the world. Like you, we think the international community must get better at peace building and tackling the root causes of conflict, which is why we are hosting a major conference on Somalia next month. Like you, we welcome a stronger role in world affairs for Latin American countries, although where we have our own views over issues such as the Falkland Islands we will always be frank about them. We will always uphold UK sovereignty and the rights of the Islanders to self-determination, while valuing the ability to discuss these issues with Brazil in a framework that respects international law and human rights. We also share the same deep commitment to tackling poverty, which is why in Britain we are standing firm to our commitment to raise aid to 0.7% of GNI, despite economic difficulties at home. We have promised that we will not build our economic recovery on the back of the world’s poor and we are showing that through our actions. We both believe in transparent and accountable government, and are working together with more than 50 other countries through the Open Government Partnership. We are developing new relations in defence and security, with British companies like BAE Systems supporting your procurement programme. And we work closely together on biodiversity and on climate change. The Rio+20 conference this June will be an important opportunity to set out a way forward on sustainable development and poverty reduction. Our experts are already working together in the field of development, where Brazil can emerge as a global force. Indeed, your knowledge and skills in development and environmental conservation are among your greatest contributions to the world. Let us build on this track record to become closer partners in support of international peace and security. Energy, perseverance, creativity, self-reliance, inventiveness, daring, and diversity – these are just some of the qualities that your friends in the world associate with the people of Brazil. How much easier it will be to address the challenges of insecurity, terrorism and prosperity if countries like Britain and Brazil are active partners in international affairs, and if Brazil brings all these qualities to bear in the world. Our values, our economic compatibility and our international roles give us great potential to be closer partners. This is our ambition and we will invest in it over the coming years.